J Toxicol Pathol. 2018 Oct;31(4):275-282. doi: 10.1293/tox.2018-0027. Epub 2018 Jul 1. Propolis is a resin-like material produced by honey bees from bud exudates and sap of plants and their own secretions. An ethanol extract of Brazilian green propolis (EEBGP) contains prenylated phenylpropanoids and flavonoids and has antioxidative and anti-inflammatory effects. Acetaminophen (N-acetyl-p-aminophenol; APAP) is a typical hepatotoxic drug, and APAP-treated rats are widely used as a model of drug-induced liver injury. Oxidative stress and inflammatory reactions cause APAP-induced hepatocellular necrosis and are also related to expansion of the lesion. In the present study, we investigated the preventive effects of EEBGP on APAP-induced hepatocellular necrosis in rats and the protective mechanism including the expression of antioxidative enzyme genes and inflammation-related genes. A histological analysis revealed that administration 0.3% EEBGP in the diet for seven days reduced centrilobular hepatocellular necrosis with inflammatory cell infiltration induced by oral administration of APAP (800 mg/kg) and significantly reduced the area of necrosis. EEBGP administration did not significantly change the mRNA expression levels of antioxidant enzyme genes in the liver of APAP-treated rats but decreased the mRNA expression of cytokines including Il10 and Il1b, with a significant difference in Il10 expression. In addition, the decrease in the mRNA levels of the Il1b and Il10 genes significantly correlated with the decrease in the percentage of hepatocellular necrosis. These findings suggest that EEBGP could suppress APAP-induced hepatocellular necrosis by modulating cytokine expression. J Toxicol Pathol. 2018 Oct;31(4):267-274. doi: 10.1293/tox.2018-0009. Epub 2018 Jun 16. It is well known that fasting substantially affects the metabolism of drugs and chemicals. Food restriction also affects drug kinetics, such as absorption, metabolism, and excretion, and therefore, it can potentially modulate the onset of chemical toxicity or drug-induced adverse reactions. In the present study, the expression of drug-metabolizing enzyme genes and total glutathione content in the liver, which are related to toxicity induced by overdose of the hepatotoxic drug acetaminophen (N-acetyl-p-aminophenol; APAP), were examined in rats reared under different feeding conditions: ad libitum feeding, 16-h fasting, and food restriction (fed 70% of the average intake of ad libitum feeding for 10 days) conditions. The rats under food restriction conditions as well as fasted rats showed significantly higher expression of Cyp2e1, the gene encoding the enzyme that metabolizes APAP to its toxic metabolite N-acetyl-p-benzoquinone imine (NAPQI). They also had lower levels of liver total glutathione, which detoxifies NAPQI. In contrast, the gene expression of UDP-glucuronosyltransferase 1A6 (Ugt1a6), sulfotransferase 1A1 (Sult1a1), and glutathione S-transferase M1 (Gstm1) was not affected by food restriction or fasting. When APAP was administered (800 mg/kg), histopathological changes were not observed in rats fed ad libitum, while hepatocellular necrosis was observed in most of the rats treated with APAP after fasting or food restriction. Taken together, these results suggest that not only fasting but also food restriction exacerbate APAP-induced acute liver injury, probably by the induction of CYP2E1 and the reduction of liver glutathione contents, in rodents. Objectives We have revealed the efficacy and safety of Aquilaria subintegra （agarwood）leave extract on constipation-related symptoms. To evaluate the effect of low dosage of agarwood leaves extract, two clinical trials were performed in this study. Methods Clinical trial-1. We conducted a double-blinded, placebo-controlled, crossover trial in seventeen healthy volunteers-（ages 20 to 65 years old）with mild constipation. For the trial, we prepared a tablet containing a mixed powder of 75 mg agarwood leaves- extract and 75 mg dextrin. The subjects ingested placebo or 150 mg of the agarwood leave extrac（t 2 tablets daily） for 4 weeks. Clinical trial-2. We conducted the trial, which methods were the same as clinical trial-1, with twofold dosage of the agarwood leave extract. Fifteen healthy volunteers with mild constipation were participated in this trial. In each trial, the primary endpoints were changes in self-reported stool smell and the frequency of defecation. Results Clinical trial-1. No significant differences were indicated in any endpoints. And any clinically critical adverse events were not observed in this trial. Clinical trial-2. Significant improvements were indicated in the primary endpoints, the stool volume and the total frequency of defecation. Especially, the stool smell was improved at first week in the intake period of agarwood leaves extract tablets. In addition, any clinically critical adverse events were not observed during the trial. Conclusions Present results suggested that the intake of 300 mg of the agarwood leave extract serves to relieve constipation without adverse effects. ローヤルゼリーに特有なタンパク質アピシンの定量分析Quantitative analysis of apisin, a major protein unique to royal jelly. Apisin, a protein that is unique to royal jelly (RJ), is known to compose the greater part of the RJ proteins and to exist as a heterooligomer containing major royal jelly protein 1 and apisimin. However, few reports on the methods for quantifying apisin have been published. Thus, we attempted to quantify apisin using HPLC, a widely used analytical technique, as described below. Isoelectric precipitation and size-exclusion chromatography were used to obtain the purified protein, which was identified as apisin by SDS-PAGE and LC-MS analyses. The purified apisin was lyophilized and then used to generate a calibration curve to quantify apisin in RJ. The apisin content was fairly constant (i.e., 3.93 to 4.67 w/w%) in natural RJ. This study is the first to describe a simple, standardized method for quantifying apisin using HPLC and suggests that apisin can be used as a benchmark for future evaluations of RJ quality. ブラジル・パラナ州産ブラウンプロポリスからの新規ジテルペンの発見Discovery of a novel diterpene in Brown Propolis from the state of Parana, Brazil. Nat Prod Commun., 2016 Feb; 11(2): pp201-205. Propolis is a resinous substance collected by honeybees from certain plant sources. The components of propolis depend on the vegetation of the area in which apiculture is practiced. In Brazil, there are several types of propolis including 'green,' 'red' and 'brown'. Brazilian brown propolis from the state of Parana characteristically includes diterpenes, and we discovered a novel clerodane diterpene, rel-(5S,6S,8R,9R,10S,18R,19S)-18,19-epoxy-2-oxocleroda-3,12(E),14- triene-6,18,19-triol 18,19-diacetate 6-benzoate (3) and five known diterpenes (1, 2, 4, 5 and 6). The chemical structure of the novel diterpene 3 was determined using 1D- and 2D-NMR spectroscopic analyses. Furthermore, the activities of the isolated diterpenes on growth inhibition of several human cancer cell lines (LNCaP, MCF-7, DLD-1 and A549) were evaluated in vitro; diterpene 3 exhibited a potent inhibition of cell growth, and its activity was approximately 15 times higher than that of the other diterpenes. Royal jelly (RJ) produced by honeybees has been reported to possess diverse health-beneficial properties and has been implicated to have a function in longevity across　diverse species as well as honeybees. 10-Hydroxy-2-decenoic acid (10-HDA), the major lipid　component of RJ produced by honeybees, was previously shown to increase the lifespan of Caenorhabditis elegans. The objective of this study is to elucidate signaling　pathways that are involved in the lifespan extension by 10-HDA. 10-HDA further extended　the lifespan of the daf-2 mutants, which exhibit long lifespan through reducing insulin-like signaling (ILS), indicating that 10-HDA extended lifespan independently of ILS. On the other hand, 10-HDA did not extend the lifespan of the eat-2 mutants, which show　long lifespan through dietary restriction caused by a food-intake defect. This finding indicates that 10-HDA extends lifespan through dietary restriction signaling.We further found that 10-HDA did not extend the lifespan of the long-lived mutants in daf-15, which encodes Raptor, a target of rapamycin (TOR) components, indicating that 10-HDA shared some longevity control mechanisms with TOR signaling. Additionally, 10-HDA was found to confer tolerance against thermal and oxidative stress. 10-HDA increases longevity not through ILS but through dietary restriction and TOR signaling in C. elegans. Objectives　We investigated whether or not intake of an extract of Aquilaria crassna（agarwood）leaves ameliorates constipation—related symptoms in healthy volunteers with mild constipation, and then we also assessed clinical events produced by subchronic oral administration or an overdose of the agarwood leave extract in healthy volunteers. We prepared a tablet containing a mixed powder of 100 mg agarwood leave extract and 100 mg dextrin for carrying out these clinical experiments. Methods　Clinical trial-1. We conducted a double-blinded, placebo-controlled, crossover trial in 64 healthy volunteers（ages 20 to 65 years old）with mild constipation. The subjects ingested placebo or 600 mg of the agarwood leave extract（6 tablets daily）for 2 weeks. The primary endpoints were changes in self-reported stool volume and the number of bowel movements. Clinical trial-2. We conducted an open-label trial with 22 volunteers（age 20 to 65 years old）in which 11 subjects had a mild constipation. The subject ingested 600 mg of the agarwood leave extract（6 tablets daily）, the same dose as in the Clinical trial-1, for 12 weeks and underwent physician interviews, physical examinations, blood tests, laboratory examination, urine tests, and medical examination interviews. Clinical trial-3. We conducted an open-label trial with 22 volunteers（ages 20 to 65 years old）in which 11 subjects had a mild constipation. The subjects ingested 1800 mg（18 tablets daily）of the agarwood leave extract for 4 weeks and underwent the same examinations as in the clinical trial-2. A stool volume, the total number of bowel movements, and days with defecation were recorded using a constipation diary. Results　Clinical trial-1. Daily ingestion of 600 mg of the extract significantly increased the primary endpoints, the stool volume and the total number of bowel movements, as compared with placebo. In addition, any clinically critical adverse events were not found during the study period. Clinical trial-2. Daily ingestion of 600 mg of the agarwood leave extract did not cause clinically critical changes in any parameters in all the examinations. We observed adverse events in 9 out of 22 subjects, and 3 of them dropped out of the study. All the adverse events were thought to be unrelated with ingestion of the test food. Clinical trial-3. Daily ingestion of 1800 mg of the extract did not cause clinically critical changes in any parameters in physical examinations, blood tests, and urine tests. We observed adverse events in 19 out of 22 subjects, and 8 of them dropped out of the study. Almost all the adverse events were thought to be caused by excessive stimulation of gastrointestinal motility due to overdose. Conclusions　Present results indicate that the adequate ingestion of the Aquilaria crassna leaves extract possibly serves to relieve constipation without critical adverse reaction. in vitroにおけるブラジル産グリーンプロポリスエタノール抽出物のヒトシトクロームP450活性に及ぼす影響 Effects of an ethanol extract of Brazilian green propolis on human cytochrome p450 enzyme activities in vitro. J. Agric. Food Chem., 2014 Nov; 62 (46); 11296–11302. Epub 2014 Oct 31. Supplement-drug interaction on CYP enzyme activity is occasionally found to cause clinically adverse events, and no report on interactions of propolis is available either in vitro or clinical. In this study, we tried to estimate the risk of an interaction between an ethanol extract of Brazilian green propolis (EEP-B55) and drugs in vitro and in vivo. The activities of CYP1A2, CYP2C9, CYP2C19, CYP2D6, and CYP3A4 were attenuated by EEP-B55 in a concentration-dependent manner, and artepillin C, kaempferide, dihydrokaempferide, isosakuranetin, and kaempferol were estimated to have potential for CYP inhibition. The IC50 values of artepillin C for each CYP were approximately 33-fold higher than its Cmax in the blood of rats after dosing with 5-fold the recommended daily intake of EEP-B55. These findings suggest that liver CYP enzyme activities are not markedly affected by artepillin C at the recommended daily intake of EEP-B55. ブラジル産グリーンプロポリスの主要成分であるアルテピリンCは、TRPA1チャネルの活性化を介して辛味を惹起するArtepillin C, a Major Ingredient of Brazilian Propolis, Induces a Pungent Taste by Activating TRPA1 Channels. PLoS One. 2012;7(11):e48072 Epub 2012 Nov 2. Brazilian green propolis is a popular health supplement because of its various biological properties. The ethanol extract of Brazilian green propolis (EEBP) is characteristic for its herb-like smell and unique pungent taste. However, the ingredients responsible for its pungency have not yet been identified. This study provides the first evidence that artepillin C is the main pungent ingredient in EEBP and that it potently activates human transient receptor potential ankyrin 1 (TRPA1) channels. EEBP was fractionated using column chromatography with a step gradient elution of an ethanol-water solution, and the fractions having the pungent taste were determined by sensory tests. HPLC analysis revealed that the pungent fraction was composed primarily of artepillin C, a prenylated derivative of cinnamic acid. Artepillin C was also identified as the pungent compound of EEBP by organoleptic examiners. Furthermore, the effects of artepillin C and other cinnamic acids found in EEBP on TRPA1 channels were examined by calcium imaging and plate reader-based assays in human TRPA1-expressing cells to investigate the molecular mechanisms underlying their pungent tastes. Artepillin C and baccharin activated the TRPA1 channel strongly, whereas drupanin caused a slight activation and p-coumaric acid showed no activation. Because the EC(50) values of artepillin C, baccharin, and allyl isothiocyanate were 1.8 µM, 15.5 µM, and 6.2 µM, respectively, artepillin C was more potent than the typical TRPA1 agonist allyl isothiocyanate. These findings strongly indicate that artepillin C is the main pungent ingredient in EEBP and stimulates a pungent taste by activating TRPA1 channels. グリーンプロポリスの緩下効果およびその作用メカニズムLaxative effects and mechanism of action of Brazilian green propolis. BMC Complement Altern Med. 2012 Oct 22;12:192. BACKGROUND: Brazilian green propolis is reported to have wide range of biological properties including antibacterial, anti-inflammatory, anti-influenza, and antioxidant activities. In the digestive system, a protective effect of propolis on gastric ulcer has been reported, but a laxative effect has not yet been reported. We investigated the effect and the mechanism of action of water and ethanol extracts of Brazilian green propolis. METHODS: We examined the laxative effect of propolis on stool frequency by administering orally an ethanol extract of propolis (EEP) or a water extract of propolis (WEP) at 10, 50, 100, or 500 mg/kg to normal mice. We then investigated the effects of propolis using constipation model mice induced by two types of drugs, loperamide (a μ opioid receptor agonist) and clonidine (an α-2 adrenergic receptor agonist). We also investigated the effects of WEP on gastrointestinal transit and contractional tension of the ileum to uncover the mechanism of action of WEP. RESULTS: Treatment with WEP, but not with EEP, significantly increased the weight of stools (p<0.01 at 500 mg/kg). WEP treatment significantly restored stool frequency and stool weight in clonidine-induced constipation model mice, but not in loperamide-induced constipation model mice. WEP treatment did not affect gastro-intestinal transit, but significantly increased the contractional tension of the isolated ileum of guinea pigs. This increase was inhibited by an acetylcholine receptor antagonist (atropine), but not by a 5-HT receptor antagonist (GR113808). CONCLUSION: These findings indicate that WEP has laxative effects both in normal mice and in clonidine-induced constipation model mice. The laxative effects of WEP might be mediated by increased contractional tension of the ileum exerted at least in part via activation of an acetylcholine receptor. ブラジル産赤プロポリスエタノール抽出物はTHP-1マクロファージにおけるABCA1の発現を増加しコレステロールの流出を促進するEthanolic extracts of Brazilian red propolis increase ABCA1 expression and promote cholesterol efflux from THP-1 macrophages. Phytomedicine. 2012 Mar 15;19(5):383-8. Epub 2012 Feb 2. ブラジル産プロポリスの主要成分3,4-ジカフェオイルキナ酸はTRAILの発現を増加させインフルエンザAウイルスに感染したマウスの生存期間を延長する 3,4-Dicaffeoylquinic Acid, a Major Constituent of Brazilian Propolis, Increases TRAIL Expression and Extends the Lifetimes of Mice Infected with the Influenza A Virus. Evid Based Complement Alternat Med. 2012:946867. Epub 2011 Aug 25. Brazilian green propolis water extract (PWE) and its chemical components, caffeoylquinic acids, such as 3,4-dicaffeoylquinic acid (3,4-diCQA), act against the influenza A virus (IAV) without influencing the viral components. Here, we evaluated the anti-IAV activities of these compounds in vivo. PWE or PEE (Brazilian green propolis ethanol extract) at a dose of 200 mg/kg was orally administered to Balb/c mice that had been inoculated with IAV strain A/WSN/33. The lifetimes of the PWE-treated mice were significantly extended compared to the untreated mice. Moreover, oral administration of 3,4-diCQA, a constituent of PWE, at a dose of 50 mg/kg had a stronger effect than PWE itself. We found that the amount of tumor necrosis factor-related apoptosis-inducing ligand (TRAIL) mRNA in the mice that were administered 3,4-diCQA was significantly increased compared to the control group, while H1N1 hemagglutinin (HA) mRNA was slightly decreased. These data indicate that PWE, PEE or 3,4-diCQA possesses a novel and unique mechanism of anti-influenza viral activity, that is, enhancing viral clearance by increasing TRAIL. 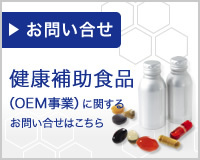 線虫におけるローヤルゼリーおよびその関連物質の寿命延長作用 Lifespan-Extending Effects of Royal Jelly and Its Related Substances on the Nematode Caenorhabditis elegans. PLoS One. 2011;6(8):e23527. Epub 2011 Aug 9. BACKGROUND: One of the most important challenges in the study of aging is to discover compounds with longevity-promoting activities and to unravel their underlying mechanisms. Royal jelly (RJ) has been reported to possess diverse beneficial properties. Furthermore, protease-treated RJ (pRJ) has additional pharmacological activities. Exactly how RJ and pRJ exert these effects and which of their components are responsible for these effects are largely unknown. The evolutionarily conserved mechanisms that control longevity have been indicated. The purpose of the present study was to determine whether RJ and its related substances exert a lifespan-extending function in the nematode Caenorhabditis elegans and to gain insights into the active agents in RJ and their mechanism of action. PRINCIPAL FINDINGS: We found that both RJ and pRJ extended the lifespan of C. elegans. The lifespan-extending activity of pRJ was enhanced by Octadecyl-silica column chromatography (pRJ-Fraction 5). pRJ-Fr.5 increased the animals' lifespan in part by acting through the FOXO transcription factor DAF-16, the activation of which is known to promote longevity in C. elegans by reducing insulin/IGF-1 signaling (IIS). pRJ-Fr.5 reduced the expression of ins-9, one of the insulin-like peptide genes. Moreover, pRJ-Fr.5 and reduced IIS shared some common features in terms of their effects on gene expression, such as the up-regulation of dod-3 and the down-regulation of dod-19, dao-4 and fkb-4. 10-Hydroxy-2-decenoic acid (10-HDA), which was present at high concentrations in pRJ-Fr.5, increased lifespan independently of DAF-16 activity. CONCLUSIONS/SIGNIFICANCE: These results demonstrate that RJ and its related substances extend lifespan in C. elegans, suggesting that RJ may contain longevity-promoting factors. Further analysis and characterization of the lifespan-extending agents in RJ and pRJ may broaden our understanding of the gene network involved in longevity regulation in diverse species and may lead to the development of nutraceutical interventions in the aging process. ブラジル産グリーンプロポリス水抽出物の抗インフルエンザ効果を持つ主要な成分はカフェオイルキナ酸類である Caffeoylquinic acids are major constituents with potent anti-influenza effects in brazilian green propolis water extract. Evid Based Complement Alternat Med. 2011:254914. Epub 2011 Mar 1. Influenza A viral infections reached pandemic levels in 1918, 1957, 1968, and, most recently, in 2009 with the emergence of the swine-origin H1N1 influenza virus. The development of novel therapeutics or prophylactics for influenza virus infection is urgently needed. We examined the evaluation of the anti-influenza virus (A/WSN/33 (H1N1)) activity of Brazilian green propolis water extract (PWE) and its constituents by cell viability and real-time PCR assays. Our findings showed strong evidence that PWE has an anti-influenza effect and demonstrate that caffeoylquinic acids are the active anti-influenza components of PWE. Furthermore, we have found that the amount of viral RNA per cell remained unchanged even in the presence of PWE, suggesting that PWE has no direct impact on the influenza virus but may have a cytoprotective activity by affecting internal cellular process. These findings indicate that caffeoylquinic acids are the active anti-influenza components of PWE. Above findings might facilitate the prophylactic application of natural products and the realization of novel anti-influenza drugs based on caffeoylquinic acids, as well as further the understanding of cytoprotective intracellular mechanisms in influenza virus-infected cells. ブラジル産赤プロポリスエタノール抽出物はPPARγの活性化を通じ脂肪細胞の分化を促進する Ethanolic extracts of Brazilian red propolis promote adipocyte differentiation through PPARγ activation. Phytomedicine. 2010 Oct;17(12):974-9. Epub 2010 Apr 10. AIM OF THE STUDY: The aim of present study was to investigate the effects of ethanolic extracts of red propolis (EERP) on adipogenesis and evaluate the molecular basis for their anti-obesity effects. MATERIALS AND METHODS: We tested whether EERP alone could induce differentiation of 3T3-L1 cells, regulate the expression of adipocyte-specific genes and reverse inhibitory effects of TNF-α on their differentiation. Next, we performed a luciferase reporter gene assay to test whether EERP could enhance transcriptional activities of PPARγ and adiponectin promoter activities. RESULTS: EERP strongly induced differentiation of 3T3-L1 preadipocytes into adipocytes, and enhanced the PPARγ transcriptional activity and adiponectin promoter activity. In addition, EERP attenuated the inhibitory effect of TNF-α on adipocyte differentiation and adiponectin production in mature adipocytes. CONCLUSION: The present study indicates that EERP enhance differentiation of 3T3-L1 adipocytes in part by its potency of PPARγ activation and are capable of reversing inhibitory effects of TNF-α on adipocyte differentiation and adiponectin expression. These results suggest the value of EERP as a diet supplement for prevention and treatment of obesity and obesity-associated disorders. Nagaragawa Research Center, API Co., Ltd.
1 Nagaragawa Research Center, API Co., Ltd. Copyright 2010 API Co.,Ltd. All rights reserved.